The new Z-CR Crane Scales are ideal for the industrial industry and have heavy duty steel enclosures for maximum support! They also include industrial strength shackle and hook to sustain heavy lifting as well as being remote control operated! 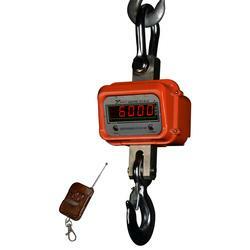 The Z-CR Crane Scales have two batteries for continual use and come fully calibrated and ready to use, straight out of the box.